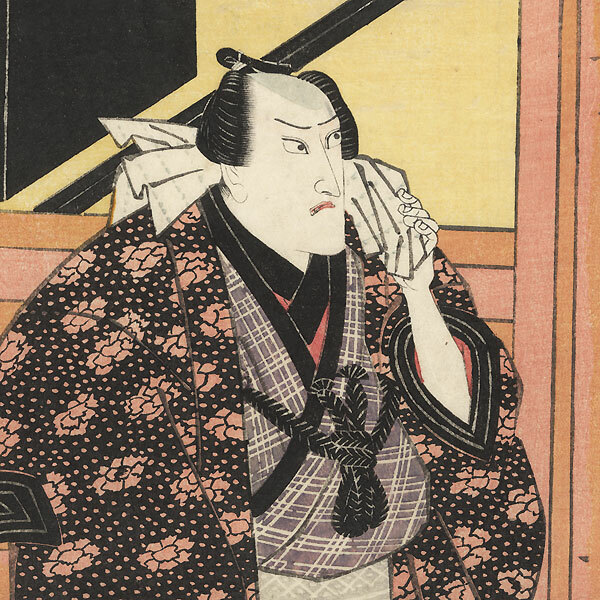 Toyokuni I's Kabuki Portraits - The great ukiyo-e master Toyokuni I is best known for his expressive kabuki designs. His portraits were part of a new trend in creating actor images that more closely resembled the real actor as seen on stage, rather than the idealized portraits that predominated the genre earlier. Toyokuni I dominated the field of actor portraits for nearly three decades, creating bold, dynamic images in his own recognizable style. 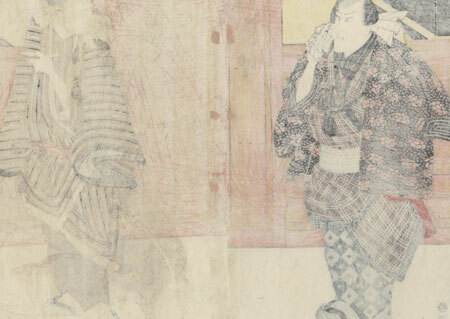 Comments - Interesting kabuki scene of two men in the street outside a teahouse or shop, each frowning at the other. The fellow at left scowls angrily, holding a dotted towel over his shoulder. 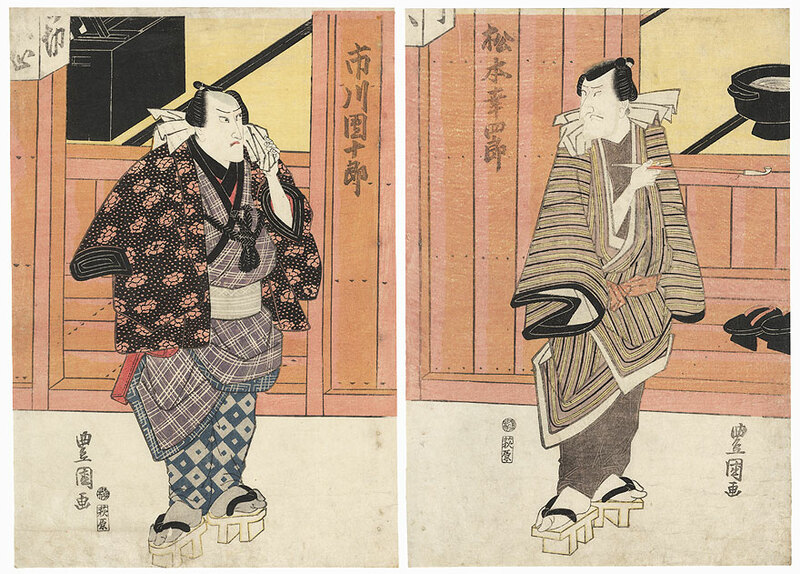 He wears a floral coat over a plaid kimono and diamond print pants, socks, and wooden geta clogs. The man at right grimaces as he looks back, a pipe in hand. At lower right, a pair of clogs rests on the step outside the entrance, while at upper left, the corner of a black lacquer mirror atop a makeup stand can be seen. Nice expressive figures in a handsomely detailed setting. Condition - This print with excellent detail as shown. Two separate panels. Vertical fold in right panel. Stitching holes at one side of each panel, slight thinning at edges, repaired. Please see photos for details. Good overall.